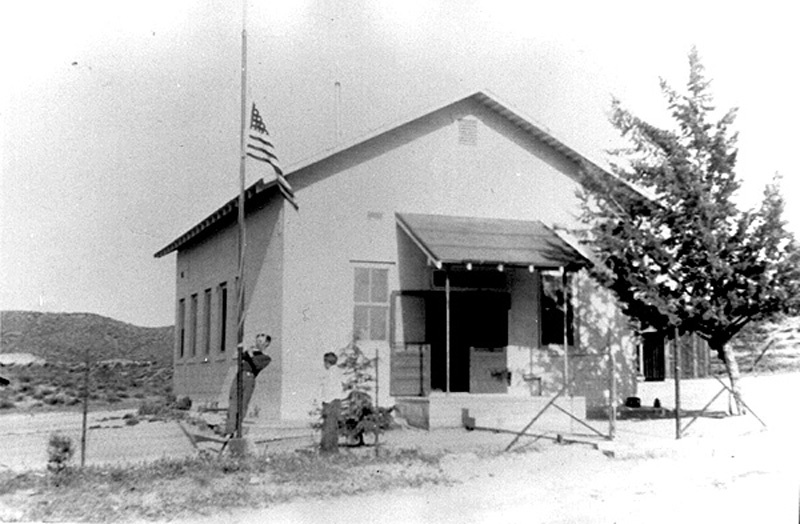 Agua Dulce Schoolhouse, May 1945. Located on Agua Dulce Canyon Road, just south of Sierra Highway. The building became a church in 1952. An old-looking bell tower, complete with bell, was added in 1987 and dedicated to a young man who died at age 19 from leukemia.